As the largest employer in Adams County, Ohio, closes its coal-fired power plants there, politicians and companies have thrown up their hands. Families know that finding work means leaving the place they know. This story was co-published with Bloomberg BusinessWeek. John Arnett chose Adams County, Ohio, as his home long before he was old enough to vote, drink beer or drive a motorcycle along the Ohio River. After his parents split up, Arnett opted at age 10 to spend most of his time with his grandmother in Adams County, along the river 70 miles southeast of Cincinnati, rather than with his parents in the Dayton area. He liked life on the tobacco farm his grandfather had bought after retiring early from General Motors Co. in Dayton. And his grandmother, who became a widow when her husband died in a tractor accident, welcomed the companionship. After high school, Arnett joined the U.S. Marine Corps, in 1999. His unit, the 1st Battalion, 7th Marines — the storied Suicide Charley — took him to the other side of the world: South Korea, Japan, Thailand. In the spring of 2003 he was an infantryman in the invasion of Iraq, spending five months in country — Baghdad, Tikrit, Najaf. Once back in Ohio, he settled in Adams County with his future wife, Crystal, and started taking classes in criminal justice at the University of Cincinnati, figuring he’d follow the well-worn path from the military to law enforcement. One day, though, Crystal alerted him to an ad in the paper for jobs right in Adams County, at the coal-fired power plants down on the river. He jumped at the chance. The Dayton Power & Light Co. plants had been there for years — the larger, 2,400-megawatt J.M. 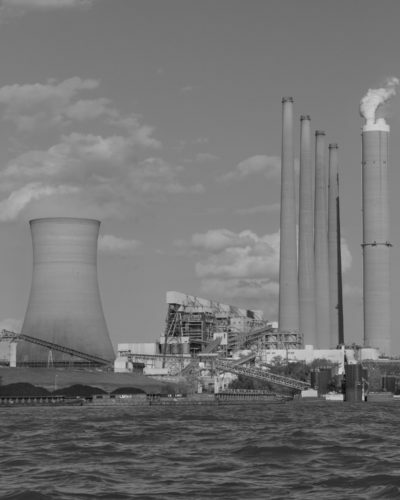 Stuart Station, opened in 1970 as one of the largest in the country, and the 600-megawatt Killen Station followed 12 years later, 14 miles to the east — and weren’t going anywhere: Ohio was getting 80 percent of its electricity from burning coal. Arnett started out in 2004 making $12 an hour, handling heavy machinery in the yard where the coal was offloaded from barges coming up the river from mines in southern Indiana and Illinois. He soon moved inside the plant, operating the boiler and turbines, and finally became an operator chemist in charge of monitoring water quality, making about $38 per hour. He got active in the union that represented the plants’ 380 hourly employees, Local 175 of the Utility Workers Union of America; eventually he was elected its vice president. He and his wife started a family and in 2009 bought a larger home, a repossessed rancher they got for $130,000, in Manchester, the community nearest to Stuart. Occasionally he still got out for rides on his Harley, but life was taken over by family and youth sports, which was fine with him. He liked how he could call up his sister-in-law to watch his kids on a snow day when he was at the plant and his wife was in classes for her physical therapy degree. He liked how, at high school football games, he could send his 7-year-old off to buy himself a hot dog. “I can look over to the concession stand and I’ll know someone over there,” he said. In mid-November of 2016, a few days after the election of Donald Trump, the president of Local 175, Greg Adams, called Arnett with news: Dayton Power & Light, which had been bought in 2011 by the global energy company AES Corp., had notified the state that it intended to close Stuart and Killen in June  2018. The plants were by far the largest employer and taxpayer in Adams County, population 28,000, which by one measure of median family income is the poorest county in Ohio. The announcement left the county with just a year and change to figure out how it was going to make do without them. And it provided just a year and change for Arnett and hundreds of other workers — there were more than 100 management employees and 300 contractors in addition to the 380 union workers — to answer the question being asked in other deindustrializing places all over the country: Stay or go? It was a hard question to confront, one the workers would be left to answer almost entirely on their own. 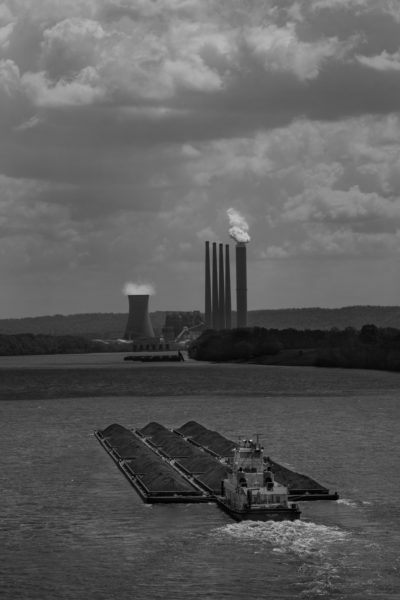 Ohio was facing more retirements of coal-fired power plants than anywhere else in the country. 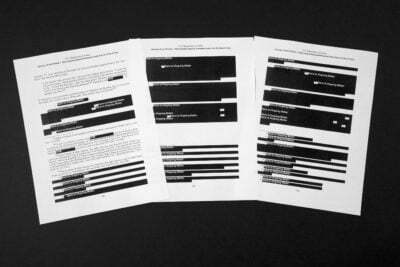 Yet nobody in government — not in the state, not in Washington — was doing anything to grapple comprehensively with the challenge that Adams County and other areas were facing. It wasn’t just the economy that was leaving so many places behind. America was built on the idea of picking yourself up and striking out for more promising territory. Ohio itself was settled partly by early New Englanders who quit their rocky farms for more tillable land to the west. Some of these population shifts helped reshape the country: the 1930s migration from the Dust Bowl to California; the Great Migration of blacks to the North and West, which occurred in phases between 1910 and 1960; the Hillbilly Highway migration of Appalachian whites to the industrial Midwest in the 1940s and ‘50s. The reluctance to move is all the more confounding given how wide the opportunity gap has grown between the country’s most dynamic urban areas and its struggling small cities and towns, a divide driven by a mix of factors that include technology, globalization and economic concentration. According to a new Brookings Institution report, the largest metro areas — those of 1 million or more people — have experienced 16.7 percent employment growth since 2010, and areas with 250,000 to 1 million have seen growth of 11.6 percent, while areas with fewer than 250,000 residents have lagged far, far behind, with only 0.4 percent growth. The question has taken on a stark political dimension, too, given how much Trump outperformed past Republican candidates in those left-behind places. For policymakers, the low rates of migration to opportunity present a conundrum. Should there be a wholesale effort to revitalize places that have lost their original economic rationale? Or should the emphasis be on making it easier for people in these places to move elsewhere? Some calls are easier than others. It’s hard to argue that, say, a town that sprang up for a decade around a silver mine in Nevada in the 1870s needed to be sustained forever once the silver was gone. Where does one draw the line, though? If all of southern Ohio is lagging behind an ever-more-vibrant Columbus, should people there be encouraged to seek their fortunes in the capital? What would it look like to write off an entire swath of a state? This has all become particularly urgent in places that are home to coal-fired power plants. These utilities get less media attention than actual coal mines, but they are far more widespread, employ almost half as many — some 20,000 — and are experiencing a much more immediate decline. Whereas coal mines have been shedding jobs for decades, coal-fired plants are experiencing their biggest crisis right now, squeezed by both competition from cheap natural gas and government constraints on their copious carbon emissions. At least 14 coal-fired plants are scheduled to close this year alone, many in remote places where they’re the big employer in the area. Adams County is a classic example. The plants dominate the landscape — not just the towering stacks along the river but also the moonscapes that have been carved out of the nearby land to hold waste from the plants in so-called ash ponds. 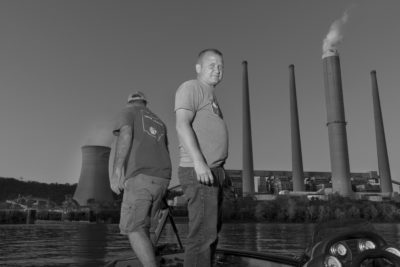 The good-paying jobs at the plants — a total $60 million in annual payroll — drew skilled workers to the county and to Maysville, Kentucky, the picturesque former tobacco hub across the river. The plants fattened the tax base. Despite the high poverty rate, the Manchester schools became some of the state’s best-funded, with high teacher salaries and an ambitious football program. In theory, once the plants were closed, Adams County could revert to farm country. But it hadn’t been farm country for almost a half-century. After Arnett got word from Greg Adams of the planned closure, they went to Stuart Station to discuss it with the operations manager, Mark Miller. The two men say Miller asked them to keep word of the closure to themselves. The reason seemed plain to Arnett and Adams: The company didn’t want so many workers leaving for new jobs that the plants would lack manpower to operate in the interim. They had no intention of observing the request. They found it irksome that the plants had recently hired new workers away from other jobs, some of them from hundreds of miles away, despite the imminent closure. The union leaders knew other colleagues who were on the verge of buying new trucks or farms, assuming their jobs were safe as ever. So that same day, they gathered workers in the vast parking lot outside Stuart Station and, speaking from the back of a pickup, told them what was happening. Some in the crowd scoffed openly, saying it was surely a tactic for upcoming labor negotiations. In the months that followed, though, the reality became undeniable. AES began moving management employees to other locations around the country. Needed repairs started going unattended. And in the spring of last year, the company signed off on a final agreement with state regulators that gave it the rate hike it was seeking and also required it to provide some transition funding for workers and the county: a grand total of $2 million. Desperate to save their members’ jobs, the local union leaders, as well as their counterparts at the national level, began to seek a buyer for the plants. This did not seem out of the question. The plants were still making money, they had been upgraded with expensive scrubbers just a decade ago and the company had recently cleared out a whole hollow above Stuart Station for a new ash pond. Meeting with so little success on this front, the union leaders reached out to their elected representatives. In May 2017, a half-dozen of them drove to Washington, where they were joined by two Adams County commissioners. The group met with both Ohio senators, Republican Rob Portman and Democrat Sherrod Brown, and what struck Arnett was how similar they were in their unsatisfying responses. 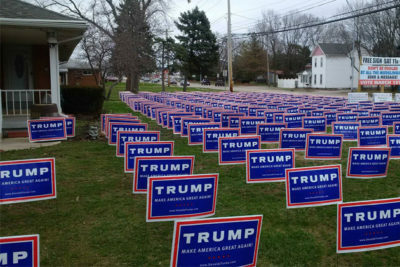 “If you put them in a room, you couldn’t tell a difference, Republican or Democrat,” he says. “Both of them had their people coming in saying they had another meeting.” Three months later, County Commissioner Ty Pell, whose father had worked at Stuart Station, returned to meet with Vice President Mike Pence and several cabinet secretaries. But the one who would’ve been the most helpful to meet with, U.S. Secretary of Energy Rick Perry, was in Houston, where flooding from Hurricane Harvey had become a crisis. Once back in Ohio, Pell and others made repeated attempts to reach Perry, to no avail. More confounding, though, was the response they met with closer to home. If they couldn’t stop the plants from closing, they concluded, they could at least start making the pitch to the state of Ohio for the single best substitute: a pipeline (at an estimated cost of $25 million) to hook up the county to natural gas, which now bypasses it, making it far less appealing for potential employers. Despite months of trying, neither the workers nor county officials could get a meeting with Gov. John Kasich, a Republican, even though Ty Pell had been county chairman of his gubernatorial campaign. They settled for one meeting with Kasich’s policy director, which produced nothing tangible. The meeting that most stuck out for Arnett was the one he landed with the state senator representing Adams County, Joe Uecker. They met at a Panera Bread in the Cincinnati suburbs. Arnett asked Uecker, a Republican in his sixth term in the Legislature, what Uecker might be able to do to forestall the closing or, failing that, to ease the transition for the county. He described to him what a huge impact the closing would have, not least on his kids’ schools. He was startled by the advice Uecker offered in response: “You need to move,” the senator said. Uecker confirms this exchange: “I did say, ‘Sometimes you have to do what’s best for your family.’” The man elected to represent Arnett’s community was telling him the most responsible thing he could do was leave it. It took no time for the fallout to hit. In late 2016, as plant workers were getting word of the closures, the county found out its own way: The state alerted it that the valuation of the plants had dropped by $56 million because of the planned closure. This meant a loss of $218,400 in tax revenue for the county general fund, which has an annual budget of about $8 million to pay for public works, the sheriff’s office, the jail, the courthouse, and social services, along with much else. The next valuation reduction came late last year, and a third is expected late this year. All told, the annual loss for the general fund is expected to be $787,800. County officials are planning to make up some of that by using a final influx of money from a statewide Medicaid managed-care sales tax. That money will be gone in 2019. They are finding efficiencies wherever possible — the county treasurer is sharing an employee with the county recorder, an election board employee is filling a vacancy in the commissioner’s office — but at some point, the math just doesn’t work. A third of the county budget now goes toward the sheriff’s office and jail. Both already operate at levels bordering on negligence. The jail, built to hold a maximum of 38 inmates, often houses as many as 75, the result of both the opioid epidemic that’s beset southern Ohio and the state government’s push to cut its own budget by putting more inmates in county jails. 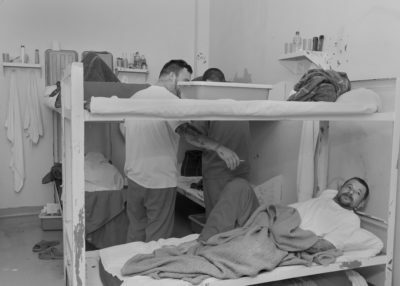 Not infrequently, one officer monitors more than 60 inmates. The county spreads over 583 square miles. To patrol that territory, there are only 22 public safety officers between the sheriff and the five municipal police departments. During certain shifts, Sheriff Kimmy Rogers has only two deputies on duty to cover the entire county. At his small, windowless office inside the jail, where he keeps a cardboard box of battered toys by his desk to give to needy kids, he contemplates what he could possibly spare to help make up a huge drop in tax revenue from the plants. “I just don’t know how I could cut,” he says. “We’re bare-bones.” That’s a standard line from department heads. In this case, it seems hard to deny. Ten miles down Route 136, Brian Rau, superintendent of the Manchester Local School District, is looking at numbers no less incomprehensible. The district — essentially a single campus serving K-12 — was carved out from the countywide school system in 2004, when tax revenue from the plants was flowing freely. Until recently, it spent about $12,000 per pupil, among the highest in the state. As a result of the plant closures, the district is expected to lose at least $4.5 million of its annual funding, more than a third of its $11 million budget. Under Ohio rules, the state will ramp up its funding for Manchester, which will become, in a flash, a high-needs district: State funding will jump to 80 percent of its total budget, from 20 percent now. But the state will make up only so much of the loss; spending in the district will drop to $8,000 per pupil, among the lowest in the state. The loss of enrollment as a result of the closure will mean even less per capita funding. 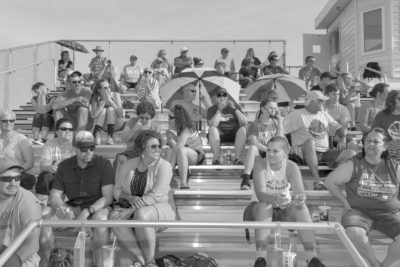 To begin to adjust to the new reality, the district has laid off several employees, cut its school psychologist back to part time (which Rau already regrets), barred the band and cheerleaders from traveling to distant away games, and, to Rau’s chagrin, started favoring less experienced teachers in job searches, since they cost less. That’s easy compared with the 1996 bond issue hanging over the district. Rau sketches out different scenarios for paying off the debt if plant revenue vanishes. Under one scenario, residents would see their property taxes quintuple in the final year of the bond, 2021. “It’s ludicrous,” Rau says. Lee Anderson, director of governmental affairs at the national Utility Workers Union, has spent years trying to get elected officials around the country to grapple with what’s happening in places such as Adams County. But there’s just no political will, he says. There’s support on the left for public investment in struggling areas, but less so, he says, when it comes to communities that are increasingly voting Republican — Adams County among them — and whose decline is linked to fossil fuels. On the right, he says, there’s no appetite for public investment, period. Not to mention that the scale of the challenge is so huge and the potential solutions so expensive. One by one, the plant workers started leaving — to a natural gas plant in Huntington Beach, California, to coal-fired plants in Kentucky, Oklahoma and Hawaii. Some of them had little farewell meetups at a bar. Others just vanished. Randy Rothwell left with his wife, Tiffany, and their two sons last summer, after landing what seemed like a dream offer: a high-paying federal job with great benefits at the Grand Coulee Dam in Washington state. It wasn’t easy leaving Adams County, where their older son had recently started kindergarten, where Tiffany had belonged to a church for 25 years, where the boys’ cousins were their best friends. The Grand Coulee job was hard to pass up, though. The Rothwells managed to sell their house — thereby overcoming one of the major hurdles in leaving a struggling area such as Adams County — and moved in late July. They lasted half a year. The job was fine, but they didn’t realize just how much they’d miss Adams County. The landscape of central Washington state was more desolate than they were prepared for. The nearest Walmart and McDonald’s were almost an hour away. Flights back home were expensive. Tiffany had almost no contact with other adults when Randy was at work. Late last year, Randy got word of a job at Adams County’s second-largest private employer, an engine-testing facility for GE Aviation. He applied and got an offer. The position was nonunion and paid only $22 per hour, half of what he was making in Washington state and also much less than the $35 per hour he made at Killen Station. He took it anyway. The family came back to Adams County in a rented truck and, because they’d sold their house, moved in with Tiffany’s mother while they looked for a place. It was different being back now, without a home of their own and with Randy bringing in so much less. Tiffany might have to find work, which won’t be easy. “That sense of security is gone,” she says. Still, they’re confident moving back was the right thing to do. “I know some people think, ‘What are you thinking?’ For us, it was family, wanting our children to grow up knowing their family and not being strangers to everyone around them,” Tiffany says. Randy agrees. “The American dream is kind of to stay close to your family, do well and let your kids grow up around your parents,” he says. It was a striking comment: Not that long ago, the American dream more often meant something quite different, about achieving mobility — about moving up, even if that meant moving out. Hillary Clinton and the Democrats were playing with fire when they effectively wrote off white workers in the small towns and cities of the Rust Belt. 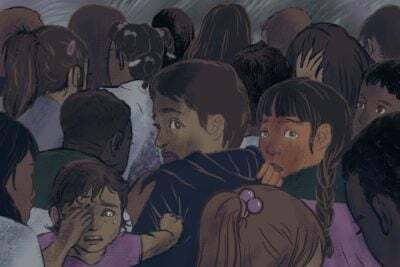 At the plants, the departures were causing a more immediate problem: There were barely enough people left to keep things running. By February the unionized head count had dropped from 380 to less than 260. 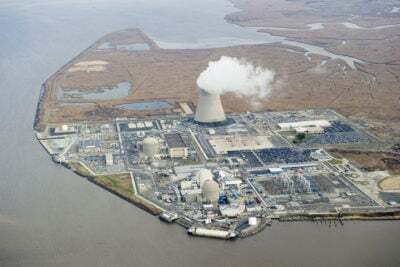 Under the union’s safety standards, there are supposed to be eight power plant operators for each of the four shifts at Stuart, for a total of 32; by February there were only 15 total. A couple of groups of potential buyers came by to tour the plants, but nothing seemed to be coming of it. The company sent official notice that it wasn’t planning to put any power on the grid after June. A proposal by Rick Perry to subsidize ailing coal-fired plants was shot down by the Federal Energy Regulatory Commission; given the imminence of the plants’ closure, it would likely not have helped anyway. Meanwhile, county officials were getting no answers from the company or state officials about the plans for the plants and ash ponds after the closure. Because fly ash isn’t categorized as hazardous, the moonscape could in theory remain a blot along the river in perpetuity. The company, which owned seven miles of riverfront, started ceding hundreds of acres to land conservancies. This handoff sounds benign, but if the company did so with all 5,000 of its acres, it would wipe it all from the tax base for good. By early March, the union and county still hadn’t even gotten a firm closure date from AES. “We have no dialogue between the company and the county at all,” said Pell, the county commissioner. On the first day of March, the state’s workforce development agency set up a “transition center” inside DP&L’s training facility in Manchester. 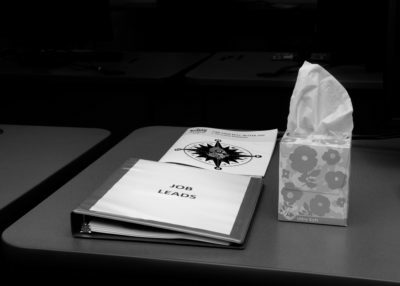 There were computers to search for jobs and brochures on “Using Social Media to ‘Net a Job’” and “Untangling the Internet.” A week later the agency held an open house there, with a state employee tasked with explaining how to apply for unemployment and representatives from several local technical schools. There was a chance the workers could qualify for federal trade adjustment assistance, which would help pay for tuition. About 100 plant workers showed up. There were free “OhioMeansJobs” tote bags and a spread of sandwiches, pasta salad and banana pudding. There was also a door prize: a thumb drive. Officials from Shawnee State University, in nearby Scioto County, were promoting their video game design program. The Southern Hills Career & Technical Center advertised training for nursing assistants. A woman from the Kentucky Career Center had a list of available jobs that included Hampton Inn receptionist, Dollar General sales associate and Domino’s Pizza driver. The workers milled about uncertainly. Dean Toller expressed some interest in a six-month welding program in Kentucky that cost $15,000. Brandon Grooms said he was thinking of moving to North Carolina to work for a friend who sold engines for private jets. Missy Hendrickson, the controller for the two plants, was desperately hoping to transfer to another AES facility — she had been with the company 26 years, and if she didn’t make it to 30, she’d lose almost half her pension. All these thoughts had led Arnett to lean toward trying to get transferred to one of AES’s jobs as a lineman in the Dayton area, even if it came with a pay cut and meant driving almost two hours to work. Many other workers were also considering this kind of commute. Rumors started swirling that a potential buyer has belatedly emerged for Killen Station, the smaller and younger plant: an IT staffing and consulting company in Atlanta called American CyberSystems Inc. 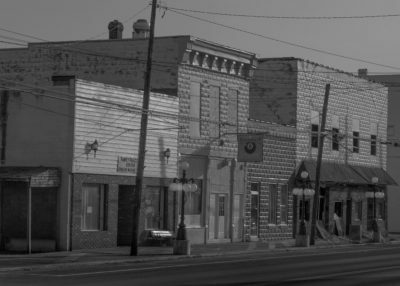 In theory, Arnett could use his seniority to get one of the 100-odd jobs that would remain at Killen if it stays open, but taking a job as a lineman in Dayton seemed safer than banking on a new owner with zero experience in running a coal-fired plant. He wasn’t sure about the lineman job, though, so at the open house, he drifted over to the man pitching the Kentucky welding program. The man talked about how much demand there is for welders and how good the money is. Arnett asked if there were jobs to be had here, in Adams. Not so much, the man conceded — although, he added brightly, one could do pretty well by traveling elsewhere for temporary stints, several weeks or months at a time.